Website - Open 24 Hrs. 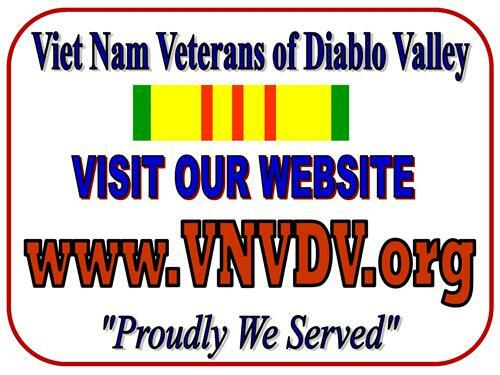 The VietNam Veterans of Diablo Valley (VNVDV) established in 1991 to promote & enhance the image of the VietNam Veteran through Community Service and Support of fellow Veterans & those who are currently serving in the military. The VNVDV is a local - ''grass-roots'' - ''all volunteer'' - non-profit Veterans Service Organization. 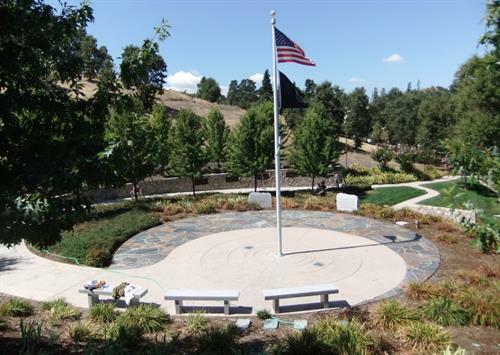 We operate from the beautiful remodeled Veterans Memorial Building for the San Ramon Valley located in The Town of Danville on Hartz at Prospect. VNVDV meets monthly at Crow Canyon Country Club on the 1st Thursday of each month at 5PM for Social - followed by a ''chef's-choice'' Buffet Dinner at 6PM. All all-you-can-eat dinner is $25. All dinner.meetings are ''OPEN'' - to all... veterans, spouses, guests, friends & community supporters. Monthly dinner meetings are relaxed & casual consisting of Introductions - Dinner - Announcements & a Featured Guest Speaker. No business - just an enjoyable evening with friends & supporters plus interesting historical speaker! NO RSVP necessary (except Dec. holiday gala) - join us anytime! See our website - VNVDV.org for additional information on our programs - projects & events supporting our veterans & those currently serving. We encourage the community to support our annual Super Sunday Crab Feed - 1st Sunday of Feb. each year & our Walk of Honor for our Veterans on Armed Forces Day. Visit the VNVDV at: www.vnvdv.org and we are on Facebook too! Highway 680 north or south - Exit - Diablo Road - West to Hartz Avenue (Clock Tower) - turn left - One block to Prospect Avenue & VMB is on left corner at 400 Hartz Avenue. Open M-F from 9AM - 3PM.